The Tampere region has succeeded in creating an interactive environment where different experts work together with companies to create smart solutions. Our research collaboration and business co-operation ensure that these solutions can be exported around the world with pride. The reseach and development expenditure of Finnish companies, universities and public sector totaled in 2013 more than EUR 6.6 billion. After Israel, it is the highest amount spent by an OECD country in relation to GDP. In the Tampere region research and development expenditure is an exceptionally high, 7% of GDP. VTT is multi-technological applied research organisation with global networks providing high-end technology solutions and innovation services. From its wide knowledge base, VTT combines different technologies, creates new innovations and a substantial range of world class technologies and applied research services thus improving its clients’ competitiveness and competence. Through its international scientific and technology network, VTT produces information, upgrades technology knowledge and creates business intelligence. VTT is a part of the Finnish innovation system under the domain of the Ministry of Employment and the Economy. VTT is a not-for-profit organisation. Research activities at VTT encompass forecasting future technological and market development trends, creating novel know-how, providing customers with new development impulses, developing technologies and concepts, applying technologies, and enhancing technology transfer and utilization. Collaboration with the world´s most prominent research partners and an active involvement in international research and innovation activities are an essential component of VTT´s research and development work. Research and development networking guarantees VTT’s persistent position in the vanguard of international research in selected focus areas. Technology is the key to addressing global challenges. 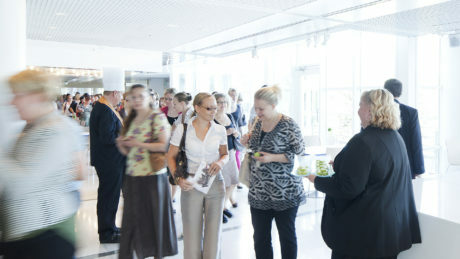 Tampere University of Technology (TUT) generates research-based knowledge and competence for the benefit of society. TUT has been ranked 11th in the world in industry collaboration (THE ranking 2015). TUT turns knowledge into customer value with its deep understanding of the whole chain from research to business, making the collaboration easy and flexible for companies. The research combines natural sciences, the fields of engineering, and business economics. The distinctive strengths lie in the interaction between fundamental and applied research, expanding international networks, and research projects that cut across conventional disciplinary boundaries. Tampere University of Technology pursues competitive, high-quality research that paves the way for new technologies and operating models. It produces professionals who have the expertise to generate and transfer new knowledge to industry and society. It actively contributes to the creation of new business opportunities, companies and jobs arising from its research. It strengthens the industrial competitiveness and export industry of Finland. The transition into the digital age opens up unprecedented opportunities for the interaction between people and machines. We build a better future by processing and analysing exponentially growing volumes of data and pursuing radical new avenues of research. We explore technologies for transferring data between machines. Our University enjoys a reputation for research excellence in signal processing. We are seeking to become the world’s foremost hub of research in intelligent machines and networked systems. Effective use of energy and raw materials cuts costs and helps protect the environment. We study and develop new technologies and materials for energy production, intelligent energy systems and for improving life-cycle performance and environmental impact management. We maintain a world-class research infrastructure that supports research in the field of energy-efficient construction. Our goal is to establish an international reputation for research in circular economy. The key to our success in health- and biotechnology research is our close and multidisciplinary collaboration with biologists and clinicians. We place special emphasis on diagnostic and regenerative technologies and develop new methods for monitoring and maintaining human health. We are internationally recognized for our expertise in biomodelling. Our distinctive and scientifically ambitious research is geared towards applications that improve the quality of people’s lives. The science of light underpins much of modern science, technology and data communications. Our University is one of the world’s leading centres for photonics research. We develop new laser sources and methods for the sophisticated control and utilization of the properties of light. Together with new photosensitive materials, they drive the development of unique new applications in multiple areas. We conduct research in the fields of photonic materials and ultrafast, nonlinear phenomena with the aim of accelerating scientific and technological breakthroughs. University of Tampere addresses the central issues in contemporary society in its research. By providing critical knowledge and education, the university helps people and societies improve their health and their cultural, social and economic well-being. University of Tampere is a multi-discipline university known especially for its research on the society and health. The profile of the University is wide-ranging and its research crosses disciplinary boundaries. The University has developed innovative research perspectives into the various phenomena of the society, health and welfare. In Tampere University of Applied Sciences (TAMK)’s research, developmen and innovation (R&D&I) activities, the professional expertise of TAMK’s staff and students’ fresh ideas are applied to partners’ development needs. Development projects are implemented in so-called living labs. A living lab is a real-life test and experimentation environment where users and producers work collaboratively to produce innovative solutions. Most of TAMK’s R&D&I projects are extensive development projects implemented together with other higher education institutions, companies, public sector organizations, and non-profit organizations. TAMK’s strong expertise in the field of education is being applied in the development of products and services which include an educational component. A multidisciplinary approach creates ideal conditions for development of innovations. In the wellbeing field, the R&D&I focuses on the promotion of human health and wellbeing at all ages and stages of life. 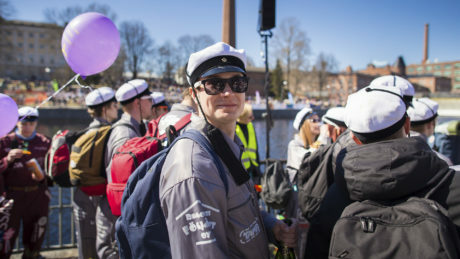 In the field of culture, the focus is on integration of different fields, and on developing the international competitive strength of the cultural products which are unique to the Tampere Region. In the field of technology, the R&D&I keywords are innovativeness, productivity, energy efficiency, user friendliness, modifiability, awareness, and intelligence. Open innovation platforms are a key tool in the development of smart products, services and processes. Some of the open innovation platforms in Tampere have been operating for a long time now while some are only just in the start-up phase. Click here to see what are the open innovation platforms in Tampere! The three universities in the Tampere Region provide high-quality education and are active cooperation partners for the industry. Thanks to the three universities, the area offers huge amount of world class research, know-how and skilled labour.